Panel Presentation: How the Building Imagination Center has helped cultivate cultural identity through art, film, and other expressions. The Search for Common Ground: Culture in California’s Central Valley. Visions of Central Valley Culture: Local Arts and Film. Modesto Junior College. 2016. The Building Imagination Center is a video art center in downtown Turlock. 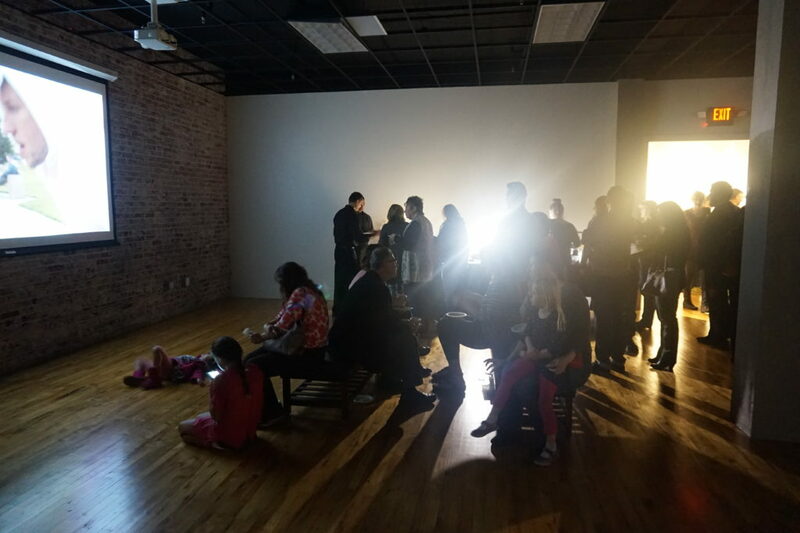 The mission of the Building Imagination Center is to provide an exhibit space for video art, with a focus on the creation of new and original documentary films of and with the local community. The Center aims to create a new video arts presence in the Central Valley. We started as an art center in downtown Modesto made possible by an ArtPlace grant for $170K. ArtPlace focuses on creative placemaking initiatives to allow the arts to bring about economic revitalization. 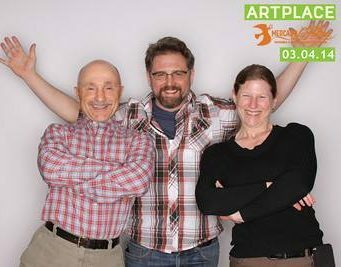 ArtPlace is a ten-year collaboration among a number of foundations, federal agencies, and financial institutions that works to position arts and culture as a core sector of community development in order to help strengthen the social, physical, and economic fabric of communities. In creative placemaking, partners from public, private, non-profit, and community sectors strategically shape the physical and social character of a region around arts and cultural activities. Creative placemaking animates public and private spaces, rejuvenates structures and streetscapes, improves local business viability and public safety, and brings diverse people together to celebrate, inspire, and be inspired. Initiatives are started by a small group of Creative initiators, sometimes just one person. I’m going to focus on those last three. “Designing around distinctiveness” and cultivating cultural identity. Initiatives build on existing expertise and characteristics of place. For example, some cities have crafted their arts initiatives around notable problems, making lemonade out of lemons. Wynwood, which sits in one of Miami Florida’s roughest sections, was a working-class Puerto Rican neighborhood. Drugs, crime and a general sense of foreboding clung to the empty streets and warehouses. Every window that had been a window had been locked up. Every fence that was here had barbed wire. The Wynwood Walls was conceived by Tony Goldman in 2009. He was looking for something big to transform the warehouse district of Wynwood, and he arrived at a simple idea: “Wynwood’s large stock of warehouse buildings, all with no windows, would be my giant canvases to bring to them the greatest street art ever seen in one place.” Since its inception, 6 years ago, the Wynwood Walls program has seen over 50 artists representing 16 countries and have covered over 80,000 square feet of walls. They have become must see international destination, and have brought the world’s greatest artists working in the graffiti and street art genre to Miami. 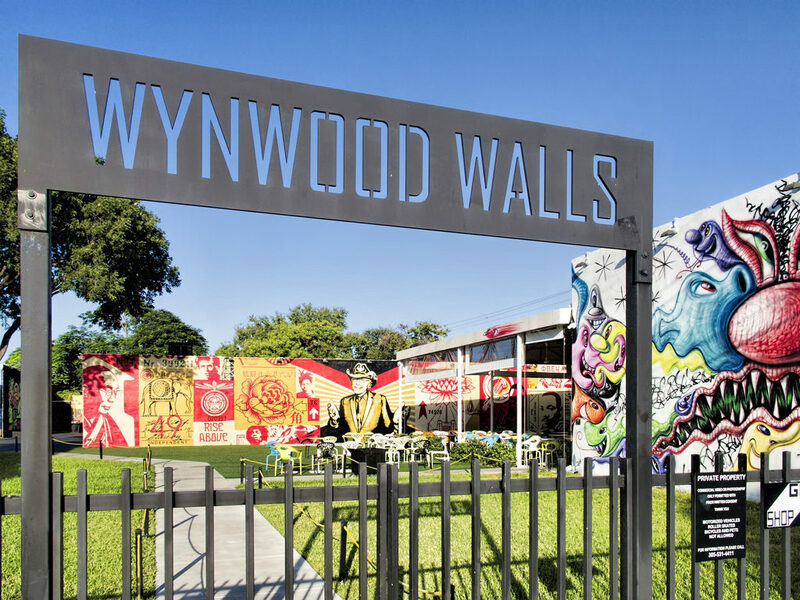 Wynwood is now home to over 70 Art Galleries, Retail Stores, Antique Shops, Eclectic Bars, and one of the largest open-air street-art installations in the world. Securing “arts community engagement” and cultivating cultural identity. Arts-related revitalization cannot take place without significant input of time, talent, and financial commitment on the part of the arts community. Artists and related cultural workers provide the core expertise for American cultural industries, supporting close to 5 million jobs. If asked to name the nation’s cultural industries, most Americans might mention movie-making, music recording, photography, and perhaps publishing. But the enterprises that produce cultural content are much broader than this. They include music and performing arts, museums and galleries, broadcasters, advertisers, printers, design services, eating and drinking establishments, educational institutions, arts equipment makers and repairers, newspaper and book publishers, and religious institutions. These contribute personal and staff time, sponsorships, expertise, and portions of their hard earned revenues to placemaking projects. Many times, they are also what people come out to see. For example, over six years, Arnaudville, Louisiana, population 1,480, remade itself from a small, forgotten community into a rural hub of cultural activity. Led by an artist, a handful of townspeople re-imagined the town’s impediments as assets. By adopting a decentralized, regional approach and tapping into existing talent, they’ve unearthed a wellspring of community pride. Visitors from all over the world, and residents of the region, play music at weekly acoustic fiddle jams, speak French at monthly conversation tables, and see bonfires floating down the bayou on flat-bottom boats during the Fire and Water Festival. Through an Art in Context program, activity spills past school walls into satellite stages, classrooms, and galleries across the region. “Building partnerships” and cultivating cultural identity. Initiators, politicians, state and federal government agencies, businesses, philanthropists, and arts organizations are all actors in successful arts-based revitalization efforts. Partnering can be challenging, but it is a crucial component of creative placemaking, ensuring long-term maintenance and sustainability. It takes many areas of expertise to make the efforts successful, as community arts projects often unfold over several years. For example, in Providence Rhode Island, AS220, a nonprofit community arts space, anchors the downtown arts and entertainment district. From 1986-2009 (more than 20 years!) 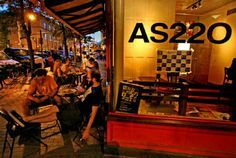 the artists of AS220 worked closely with the planning department to secure financing and acquire three live-work buildings with exhibition space. City leaders continue to support artists’ efforts as they see urban dead spots become animated streetscapes. For almost 30 years, Providence mayors have intentionally used arts and culture to build pride of place, attract residents and visitors downtown, and foster economic development. What types of things does the BIC do? We hold regular free video exhibitions for the public. We have exhibited over 30 video artists. 10 of those artists collaborated with CSU Stanislaus students to produce their film locally. We offer Digital Arts workshops. In our Modesto space we were able to offer Free filmmaking workshops every Friday. Each Friday we focused on a different aspect of filmmaking, including Pre-production, production, post-production, and film analysis. We are in the process of re-establishing workshops at our Turlock location. “Video exhibitions and film screenings” and cultivating cultural identity. Hosting film exhibitions makes this space into a cultural destination, where local and regional residents can come together. Many times, they greeted by familiar sights as they watch videos produced locally. We secure arts community engagement by emphasizing regional video artists, and including regular exhibitions of locally created student films. We were able to design the center around its own distinctiveness: The building itself was renovated to its original 1920’s structure, preserving the history of the space through the original brickwork and wood floors. The Center is building strong partnerships: The use of this space was made possible through generous redevelopment contributions by local philanthropists. Our Art Walks are a collaboration with the local city government, downtown businesses, and the neighboring Carnegie Arts Center. How do our Community Film Fellowships cultivate cultural identity? We make films about the community, with the community. These films are designed around distinctiveness. We showcase what the community is, and what the community is doing, through our documentary films about community organizations. These films securing arts community engagement. By working through our CSU video classes, we create engagement between our developing student artists and their own community. These films build partnerships. By working with local community groups, we build long term partnerships between the university, the art center, and local community organizations. How do our digital art workshops cultivate cultural identity? Our workshops design around distinctiveness. Many local residents do not have access to film production equipment or editing software – some would see this as a distinct disadvantage. This is why our workshops teach filmmaking using iPads. We show residents how to plan the film and storyboard it using sketching Apps; we show them how to best position, frame, and capture video shots with the ipad’s built in camera; and we show them how to edit the footage on the iPad with iMovie and similar Apps. All of these skills can be transferred to their own smartphones – or expanded upon for those who wish to invest in their own equipment. 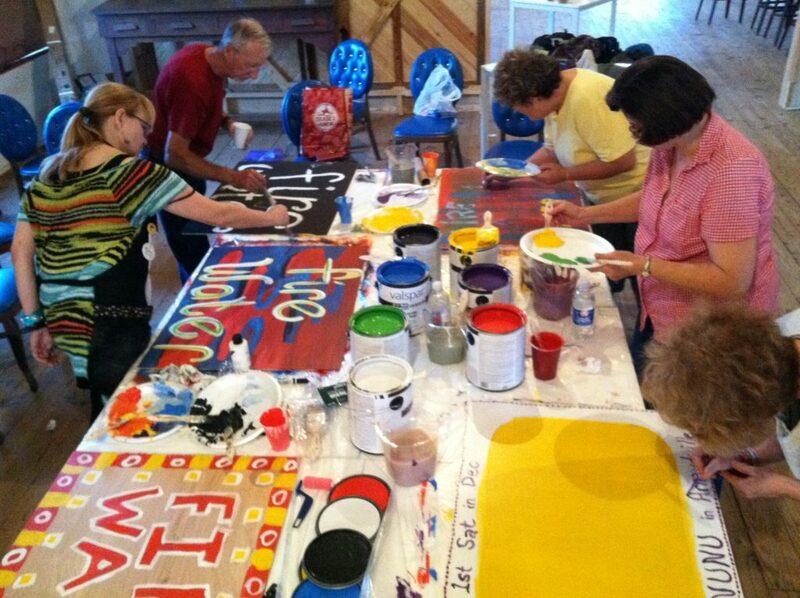 The workshops secure arts community engagement. Our workshops help local artists extend their range of expression, try out a new medium, and foster their individual voice through film. The workshops also build partnerships. Our workshops have been attended by diverse local community groups such as girl scouts, local middle schools, and the general public. In short, the Building Imagination Center cultivates cultural identity through film screenings, community film fellowships, and video workshops by working with local groups; helping the community define its strengths, discover its voice, and celebrate itself.